Among performance cars, people can usually distinguish three main categories. First, you have your regular models with a sporty high trim. BMWs with an M package fall in this category. Then you have the true sportscars – such as the Audi RS series. And finally, we go to a whole different league – the level of the supercars. Here at Corsia Logistics we have had the pleasure of transporting two such beasts, namely McLaren 12C. Once you see them up close, you can easily tell there is something utterly fascinating about those vehicles. Today we are going to explore just that. We will embark on a journey to learn more about the history of McLaren and how supercars push the limits of vehicle engineering. Hop on, and fasten your seatbelt! Taking a dive into the historical records can help us understand a lot about the world of vehicles. At least most of the time. Sadly, when it comes to supercars, things are not that straightforward. Nowadays we have a fairly clear understanding of what a supercar is. Back in the day though… everything was a bit confusing. For starters, the term “supercar” has been used to describe a variety of different vehicles. At first, it was nothing more than an advertising trick – a car that is superior to all others. This practice was taken up in the 1920s and has not really ceased to this day. Even now you can hear dealers trying to market a regular model as a “supercar”. Anyway, in more recent times (past the ‘60s) people started using the term in relation to faster sports cars. They did not mean high-grade luxuries though. It was not until the end of the 20th century when we got the current definition of a supercar – a high-cost high-performance enthusiast vehicle. The price of these cars can range from a quarter million on the “low end” to upwards of $3 million (in the case of Bugatti Chiron). Even the majority of enthusiasts would consider that steep. Not to mention that you get diminishing returns the more you spend. With many sports cars, you can get similar performance for much less. For example, Audi RS6 can cost below one hundred grand. The difference in terms of power is minuscule though – a mere 0.8s more to get from 0 to 60 mph. And yet… a split second is what determines whether a vehicle will carry the “supercar” title. However, the price is the least interesting aspect of these cars. They have quite a lot more in store… Let’s see! A lot of folks wrongly presume that these vehicles are extravagant for extravagance’s sake. Undoubtedly, the price takes the blame here. But here is the thing – these cars are not for everyone. They are not even about being able to afford them. Instead, these vehicles are made to push boundaries. Did you know that back in the day people believed a human cannot run a sub-4-minute mile? Nowadays that is rather the standard. In similar terms, many folks believed that cars cannot break the 3s acceleration barrier. And yet they did. The McLaren 12C, which we have shipped, managed to score 2.8s for accelerating from 0 to 62 mph. To many of us, these are just numbers. Yet behind them lies a whole world of human ingenuity, perplexing engineering decisions, and body designs of unimaginable precision. No, supercars are not for every person. However, they are everyone’s success. A marvelous testament to what the human potential is capable of, whether you can afford such a car or not. It is high time that I tell you something about the vehicle, which made me want to write this article. This car woke my long lost love for slick sporty designs. With time I had grown tired of the sharp edges and aggressive looks that most sports cars were bathed in. As such the McLaren 12C was a breath of fresh air. The technical specs of the car do not leave a lot to be desired. Yet it is the design that drew my attention. It strikes the right balance between curves and edges. Of course, its aerodynamic nature shines through, and yet functionality has not taken over aesthetics. You will not find many supercars that stand up to par with the McLaren 12C’s looks. Some (I am looking at you, Bugatti Veyron) are beyond hideous. Others have not changed much over the years. For example, Ferrari and Lamborghini have many models, yet most are very similar to one another. They bore me for the most part, and McLaren does not get a pass in that regard either. McLaren’s history spans decades and yet it is remarkably unremarkable. Having its roots in Formula 1 vehicles, one would think that regular sports car is a logical next step. Yet it took more than 20 years for the company to expand its reach beyond the racing scene. Thus, in 1985 McLaren Cars was founded with the goal of creating the ultimate road car. Interesting enough, McLaren struck incredible success right from the get-go with their first supercar – McLaren F1 in 1993. Yes, it took them 8 years to bring such a car to life, but at least they did it spectacularly. With amazing performance, slick looks, and an aura of exclusivity around it, it won the hearts of many. In a short while, it became apparent that McLaren Cars is a company with a lot to offer. Now imagine the surprise when all of a sudden the company disappeared from the supercar scene. They ended the production of the F1 model in 1998 and seemingly hid under a rock. They did a few collaborations with Mercedes-Benz, but that whole relationship fell apart pretty quickly. Then out of the blue in 2010 McLaren Cars was relaunched as McLaren Automotive, and supercar manufacturing started anew. In fact, McLaren 12C was the first model for the company after the F1. Unlike its predecessor though, the 12C was designed and built exclusively by McLaren. While the F1 had engines from different manufacturers, the 12C sports McLaren’s own motor. In a way, the 12C was McLaren’s statement that they are back in the game and are coming strong. After that model, the company came up with several other series as well. They now target three slightly different markets – sports cars, supercars and… hypercars. Confused? Let me clear things up! Like I have already said, the world of cars can be a messy place once we start labeling things. I would not blame you if you find it hard to keep track of all the definitions. I had trouble with that as well. So here is my short take. In recent years many supercar manufacturers have also decided to target the luxury sports car market as well. For example, Lamborghini is now much more sports car-oriented than a supercar brand. But where is the difference? For starters, sports cars are a bit cheaper than the cheapest supercars. Even top sports cars models should not go above $200,000, although there are exceptions. Obviously, the performance also falls a bit short of the supercar models. In any case, though, both sports cars and supercars are not daily drivers by any means. As far as supercars go, we have already covered what these are. They have quite the hefty price tag and beastly performance to show for it. Now, hypercars go a step further – they are basically supercars on steroids. In all honesty, though, this entire segment is more of a marketing ploy. Companies want to charge more, so they come up with fancy terms. And different price categories to match, of course. 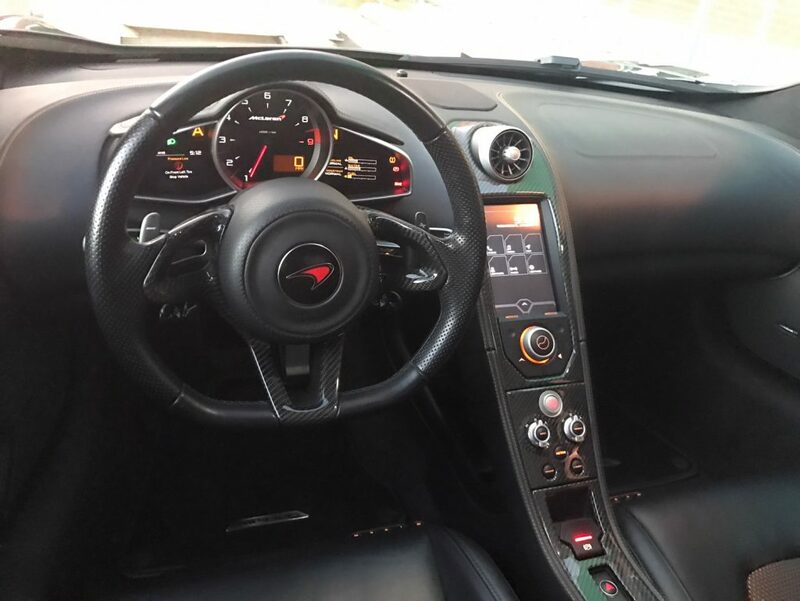 So think of hypercars as super luxurious vehicles that are focused primarily on performance, not comfort. They may be similar in price to Bentley or Rolls-Royce, but they differ in purpose. Here at Corsia Logistics we always take great care of all vehicles we ship, no matter the distance. 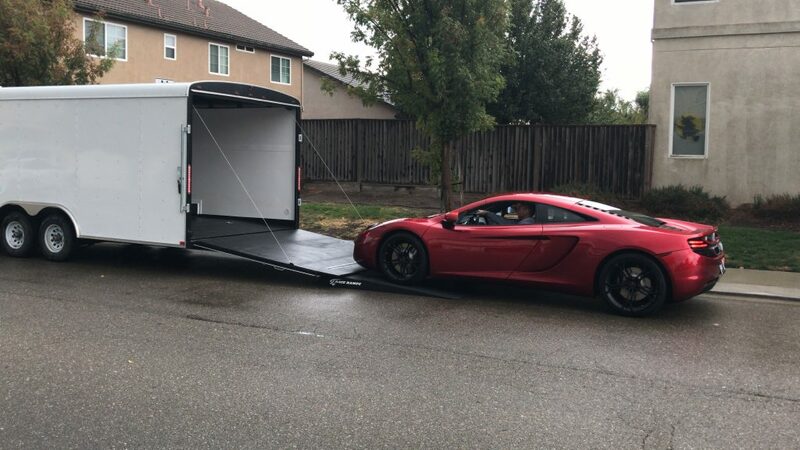 Whether your supercar needs to travel between LA and Las Vegas or all the way across the country, it will receive the best quality service available. That being said, some cars require a different kind of service. 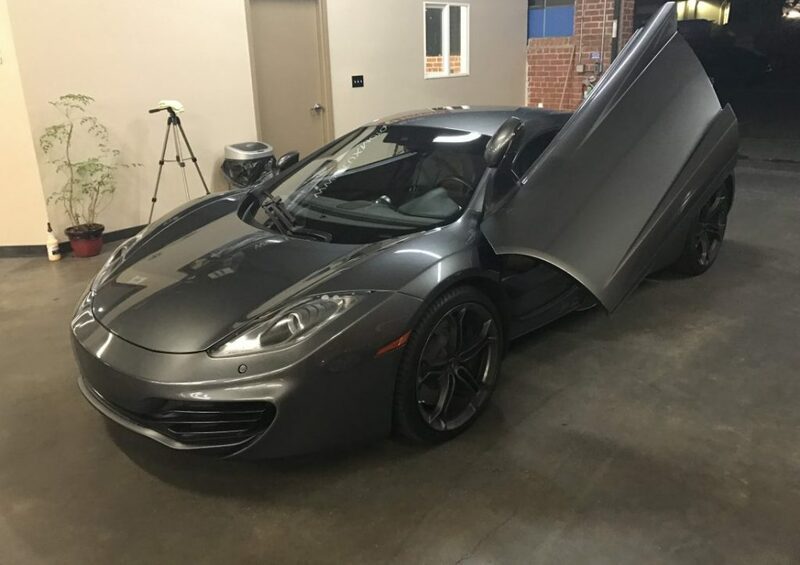 For example, the two McLaren 12C’s that we have transported, have taken advantage of our white glove car shipping service. This kind of specialized auto transport is specifically designed for luxury and classic vehicles. It has many advantages, which explain its somewhat higher cost. Firstly, the carrier trailer is only for a single car or two cars at most. Secondly, it is completely enclosed to protect the vehicle from weather and road dirt. That makes it an excellent choice for show cars that have to be transported in perfect aesthetic condition. But tell me, if you had the chance, which supercar would you want to have shipped to you? Do you fancy the McLaren 12C, or do you prefer something different? I, for one, would not pass on an Audi R8 V10 either!